In “A Layman’s Cosmology: Speculation on the Origin of Existence and God,” I speculated “It would appear that Existence might be likened to a vast, endless sea of particles and atoms, with the potential, as Aristotle saw it, to be made into an infinite variety of substances. All that was wanting was a being with the mind to create.” I noted a Creator with a consciousness to love and bring about harmony in creation — modeled after His/Her own being — emerged from this sea of existence. 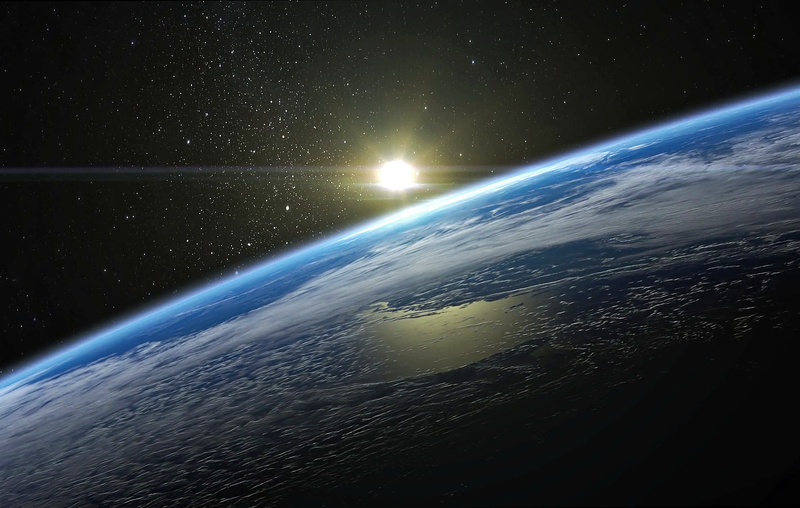 This article explores the possibilities of how God worked through the evolution of the earth to prepare for the arrival of humankind. Scientists tell us the universe is 13.8 billion years old, while the earth is 4.5 billion years old. In our reckoning, that is a long period: plenty of time for the Creator to experiment, test, prepare, and develop step-by-step an ideal physical environment and introduce humankind to that world. According to geological evidence, earth scientists have divided the history of the planet into major eras, periods and epochs in order to track the evolution of earth’s chemical, geological, biological, and climate events. It took four billion years for earth to form out of a volcanic, molten mass, and for life to be introduced. First, in the Precambrian Era, major developments took place to make the earth capable of supporting life: earth’s molten mass had to cool off and form a solid crust; the chemical composition of the atmosphere had to develop, water introduced, and oceans formed. During the first billion years, a magnetic field formed around the earth, which kept the planet’s atmosphere from dissipating into the vast solar system. Without our atmosphere, life on earth would not exist, as is the case with the Moon and other planets in our solar system. The evolution of plants, fish and animals started in the sea, where they remained for at least 600 million years. In the absence of a protective ozone layer, the land was bathed in lethal levels of UV radiation. Once photosynthesis raised atmospheric oxygen levels high enough, the ozone layer formed, making it possible for living things to venture onto the land. The Paleozoic Era or “Age of Fishes” came next, lasting 325 million years, with the introduction of amphibians and insects. This was followed by 180 million years of the Mesozoic Era, the “Age of Reptiles.” During this era, dinosaurs appeared, as well as small mammals and birds. After the extinction of the dinosaurs, the last era began 66 million years ago — the Cenozoic Era or “Age of Mammals,” where the continents took their present shape and major developments in all areas of plant and animal life took place. Then, 20 million years ago, scientists say the evolution of humans began. What comes into question is: Did the development of the earth just happen by chance, or was it orchestrated by God? Was our planet His laboratory where He experimented, tested, selected and rejected, over billions of years, all the variables to create a proper environment for humankind? Variables included ideal climate; a variety of geographical conditions and continents; sustainable ecological environments for a multitude of plant, animal, insect, fish, and all other life on earth, and so much more. Another question would be: Will a proper environment continue to exist that favors human life, or will another multi-million-year ice age come that wipes out most of the human population and its accomplishments and leaves us lost and at the mercy of a cold and hostile world? Can we trust in the Creator to keep us safe and prospering on our planet, or are we at the mercy of cruel and heartless chance? It could be argued, from the layman’s perspective, that the Creator carefully and methodically developed life on earth over the last 4.5 billion years, and most recently, around 30,000-100,000 years ago, to prepare an ideal world for us to live in. An ice age is a period of long-term reduction in the temperature of earth’s surface and atmosphere, resulting in the presence or expansion of continental and alpine glaciers, and polar ice sheets in both Northern and Southern hemispheres. Within each ice age, long-term periods of cold climate are termed “glacials,” followed by warm periods called “interglacials.” By this definition, we are in an interglacial period — the Holocene — of the present ice age. The five “ice ages” which scientists have discovered might have been part of the process of the Creator, which was essential to the development of life on earth. In this way, God possibly used ice ages to regulate development by wiping the slate clean after experimenting and testing so that She could start new tests and experiments and eventually place humankind on Her ideal world. For instance, perhaps She created dinosaurs and other ultra-large birds, insects and sea creatures 250 million years ago for the purpose of testing out on a large scale organs, body functions, adaptability, etc. When She was satisfied, She then used a glacial period to clean up Her work, clean the slate, and prepare to refine those results in new, more elegant, streamlined, and beautiful creatures and plants, which would be a part of Her ideal world. Either by chance, or perhaps by the methodical work of the Creator, the ice ages played a critical role in forming the geography, climate, and life on earth as it exists today. For example, scientists say the first major Huronian Ice Age, 2.4 to 2.1 billion years ago, was caused by the elimination of atmospheric methane — a greenhouse gas — during the Great Oxygenation Event, also called the Oxygen Crisis. At this time, oxygen levels were dramatically increasing due to the first microbes that began producing oxygen by photosynthesis. This created a new opportunity for biological diversification — but it also threw the chemical balance of the atmosphere dangerously off. However, through the action of glacial and interglacial periods in this early ice age, the levels of oxygen and CO2 in the atmosphere were regulated so that the animal and plant life we see today could thrive and not be wiped out. Was that just luck or was it by the Creator’s design? The five major ages in the Earth’s history are the Huronian, Cryogenian, Andean-Saharan, Karoo Ice Age, and current Quaternary Ice Age. Outside these ages, the earth seems to have been ice-free even at the poles. The first four ice ages occurred from 2.4 billion years ago until around 260 million years ago. Then the earth was relatively warm until just 2.6 million years ago when the fifth ice age began. It started with large ice sheets in Greenland, the Arctic and Antarctic, and with the spread of ice sheets in the Northern Hemisphere. Since then, the world has seen five major glacial and interglacial cycles. The last glacial period started 110,000 years ago and ended around 10,000 years ago.The ice coverage on the earth was not as far reaching as in past ice ages, and the plant and animal life was not completely killed off as in the past, such as when the earth was turned into a “snowball” for around 180 million years in the second major ice age. What is interesting is that the first four ice ages had alternating cycles of glacial and interglacial periods lasting millions of years. However, in this last ice age, the cycles have been drastically reduced from millions of years to thousands of years, perhaps because the Creator had been at work on the finishing touches of creating and stabilizing the continents, the atmosphere components, fish, and the fauna and flora, with the anticipation of finally bringing humankind on earth. His last and most important job was to develop an anatomically correct body for humans, in preparation to insert eternal spirits in His children, so that they could fulfill His goal of making humankind His eternal partner and co-creator in both the physical universe and the spiritual world. With the scientific knowledge and experience the Creator gained from His work with dinosaurs during the Jurassic Period, He was ready to apply that expertise on the more refined and “modern” animals that emerged over the past 60 million years and apply it to the development of prototypes for humans, to prepare a suitable body for the spirits of man and woman. 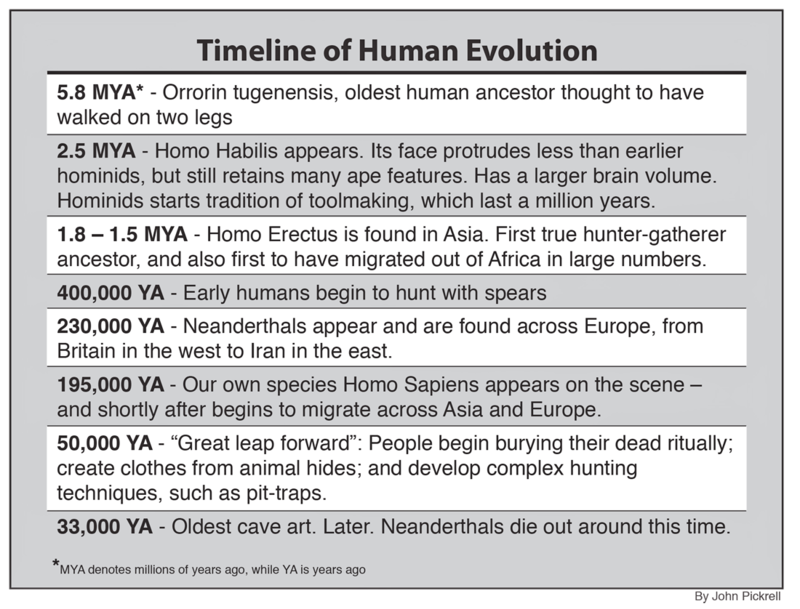 The following chart and timeline of human evolution highlights what we might consider God’s preparation to adapt a suitable physical human body to the natural world He had prepared. When scientists consider the evolution of man, we often hear how our early ancestors had to battle with and conquer the “hostile” natural world just in order to survive. 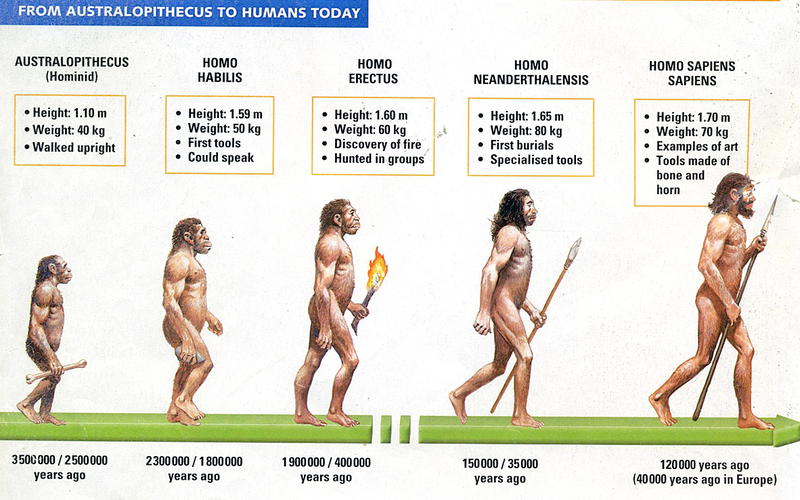 Perhaps there is another way of looking at our past evolutionary history. It is possible God was constantly refining the human body of our ancestors of the proto-human type and testing them, to see how they adapted to the natural world, and was making needed adjustments as new and more “modern” humans emerged from Africa and intermingled with earlier hominids. As earlier proto-humans were making critical changes in their biology as they adapted to the environment, God was creating in the latest ancestors that interbred with them, a more sophisticated, beautiful and ideal body. Neanderthals dwelled in Europe from 230,000 years ago, while homo sapiens arrived around 200,000 years ago, living in tribal communities; mastered tool-making; used fire for cooking and warmth; and began to create a culture that included art, burial rites, and more. Scientists believe around 150,000 years ago, the earth was coming out of a glacial period into an interglacial period that lasted around 50,000 years, until the temperatures began to decline into a new glacial period. It could have been during this interglacial period, scientists are now saying, that anatomically modern humans — possibly Cro-Magnon — were interbreeding with Neanderthals. 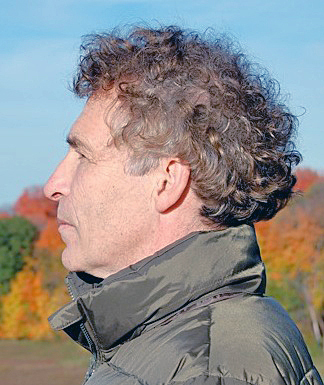 According to a human evolution account, “a sequencing of the Neanderthal genome in 2010 indicated that Neanderthals did indeed interbreed with anatomically modern humans circa 45,000 to 80,000 years ago (at the approximate time that modern humans migrated out from Africa, but before they dispersed into Europe, Asia and elsewhere).” As a result of interbreeding, some scientists think modern humans inherited immunity from certain germs and bacteria from Neanderthals, which ensured their survival on earth. If God, indeed, had been preparing the earth for billions of years for the emergence of humankind, this might have been an ideal time. It is possible God chose two families within a Cro-Magnon tribe, and when a male and female child were each born, He placed the eternal spirit into the infants, elevating the animal race of homo sapiens to children of God — the biblical Adam and Eve. The rest is history. However, an irony of earth’s and humanity’s history may be that the earth was not too hostile and wild an environment for humankind, but humankind, in disobeying God, became too hostile towards not only the earth — which God so lovingly intended to be our Garden of Eden of harmony, peace and beauty — but tragically, too hostile toward one other. Henry Christopher (UTS Class of 1980) is Director of Admissions and Financial Aid at UTS. He was a graphic artist at The Washington Times for 20 years. A lot of work went into your article, Henry, and I appreciate it. I agree with you that the Cro-Magnon race was probably engineered as a final model for the spirit-filled race of Homo Sapiens. But the general assumption that most Christians make that I have trouble with is that all the work done to bring about “this universe with us in it” was a one-off project by a one-time Creator. How can it be that the majority of us Christians look to the future and see an eternity ahead of us, yet we look to the past and myopically insist that the creation of our universe containing our species of conscious intelligence was a one-off project “at the beginning of time about 13.8 billion years ago”? That’s so crazy! If we think outside the limitations of our own physical universe, and about eternity, the inescapable conclusion is that we are part of “an eternal creation process that had no beginning”! So, instead of trying to come to grips with a “First Cause God,” we can start forming a realistic relationship with our “Heavenly Parents” — and with a whole family (sorry, there’s no way around it!) of “Heavenly Aunts and Uncles” — whose “divine creatorship” is to be inherited by each blessed couple, if only we do like they and TPs’ did and fulfill our original purpose (the Three Blessings). Would it be acceptable to “revise the Principle” along these lines? I love True Parents, but sometimes I feel like the Lone Ranger when expressing such ideas in a Unificationist forum. Interesting you should say that, James. Perhaps you could send me a note? Thanks, Henry, for describing a big macro viewpoint. This type of knowledge no doubt should have an impact on our theology, including the Divine Principle, as James Mathison suggests. I remember an elder member telling me that when True Father first visited the pyramids of Egypt and learned that humans had been around more than 6,000 years, he was surprised because the Bible he had studied so meticulously had led him to believe the Genesis chronology. However, he simply took this as new information and modified his understanding. Ruins of ancient cities found under the ocean, and precision carving and moving of huge stones stacked over 12,000 years ago all over the world indicate that other civilizations flourished during the last glacial period that ended about 10,000 years ago. One theory gaining more support is that at the end of that period, as glaciers melted, large lakes of water were formed on top of ice sheets and that when the edge of the ice sheet broke, so much water was released that it raised the level of the oceans possibly 100 feet. That would be enough to bury coastal cities around the world and create a scientific basis for the “flood judgment” stories we have inherited. None of this scientific knowledge about the past, however, changes our understanding of the fundamental points of the Divine Principle: that everyone seeks happiness, and to achieve it we undergo developmental processes of three stages of growth, and must master the processes for obtaining the three blessings that will enable us to live in peace, prosperity, and happiness. We may eventually gain knowledge of other intelligent beings in the universe, but that would not change how we have to learn and live by social principles the Divine Principle describes, even if written from the worldview of biblical language and knowledge. Gordon, as a former historical geographer and biblical scholar, I found Henry’s article concise and informative, along the lines that I myself believe to be true. While your third paragraph is true, the fact that he did not address that does not take away from his research. That was not his intention in the first place. There are others who are researching those issues. We need to look forward to create CIG, but we also need to look to our history to understand ourselves and our universe. The review of evolutionary history is very valuable. I must note, however, that the concept of God breathing into a newborn’s nostrils would be taken by “modern man” noted in Exposition of the Principle, Part I, Introduction, as a typically mythological explanation of a natural phenomenon. Then, what could be that phenomenon? One possibility is that, with an infant’s first breath, he or she for the first time assumes some human form or level of responsibility for activity (which will develop according to principles in the Principle of Creation), implying or defining a spiritual self not found in other species. A Unificationist elder, in a private conversation, suggested that the elements that would become the spiritual self are being assembled as a fetus grows in the womb (this person seemingly implying that they were matching the physical development of the fetus). I would like to suggest also that the first human ancestors were born as twins, from one set of pre-human parents rather than from two. While boning up on evolutionary theory in order to formulate this comment, I came across the following sentence in Wikipedia: “Some biologists have argued for an extended evolutionary synthesis, which would account for the effects of non-genetic inheritance modes, such as epigenetics, parental effects [my italics], ecological inheritance and cultural inheritance, and evolvability.” [Such effects might suggest the children of Blessed couples as representing a further step in evolution or even a new species, in which some of them seem to consider themselves to be.] If the first ancestral pair were not siblings, there would likely have been other humans in existence who, if reproducing, would have begun additional lines which later died out. I think it is incorrect to view the post-Big Bang universe as a testing ground for God. Once the Big Bang occurred then the emergence of stars and planets and plants and animals was a forgone conclusion that was baked into the design. That a species of animal would be elevated through evolution to full consciousness and awareness of God may have taken some nudging/guidance from ‘the other side’ but God would have known exactly what was needed and would not need to test just as an architect or engineer knows exactly what should go where to translate their blueprint to substantial reality. Philosophically speaking, I don’t see why a maximally great creator would need to have a variety of species of children. To a parent, children are children and starting with a handful and having them multiply into trillions would fulfil the need and I don’t see why that same parent/creator would need to make other universes or spawn other families within the same universe. From a design point of view it would be a redundant use of energy and I suspect that God is exquisitely disciplined and efficient in His use of energy (which I do not believe to be infinite). Scientifically speaking, the biggest cosmological errors that many academics make are in not understanding that there is no such thing as big or small numbers or long or short periods of time. Those are relative to our own size and experience of time. This error causes a more fundamental mistake derived from a lack of understanding of statistical probability. Because there is no such thing as large or small numbers or long or short periods in absolute terms, then it is folly to state that ‘with such a large number of planets over such a long period of time it is inevitable that they will produce X. Statistical probability cannot be projected forward from a zero or one point. In other words, it is not possible to project a statistical probability of anything at all when there is only a sample of one. In order to project a statistical probability of something there must be a large past sample from which to extrapolate the future occurrence. If we have a 200 year record of the number of hurricanes in the USA then we can reliably predict the statistical probability of a certain number of hurricanes in the USA next year. But if only one hurricane occurred in all of recorded American meteorological history then there is no basis whatsoever to predict when or even if a hurricane will occur again. Likewise, we only have a confirmed sample of one when it comes to the emergence of sentient species in the universe or occurrences of a big bang that leads to the existence of a universe. Therefore we have no basis at all with which to predict, let alone insist, that there must be other sentient species in our universe and other universes. Sometimes the more informed view is to confess to not knowing and having no basis to form an opinion. Peter, assuming the Big Bang (currently accepted theory) did occur, if we ask ourselves what happened during the infinite amount of time that transpired before the BB, and if we also ask about what we expect will happen during the infinite amount of time after our universe undergoes Entropy Death (currently accepted theory), then we can’t help but think outside the box and wonder what else, independently from us, has been and continues to go on in “the cosmos” — that vast and mostly invisible (to us) reality. Some people avoid these sorts of questions by insisting, “Time itself was created at the time of the Big Bang.” But, really, the only way time could not exist is if absolutely nothing ever happened. That’s a silly idea! For one thing, it’s incompatible with our belief in a Creator who actually planned out the universe before creating it. Of course it’s absolutely true that our main task now is to take responsibility for what we do know and for what we say we believe in. So some of us feel they have too much on their plate to take time to speculate. I can appreciate that; but it’s not for me. I believe it’s important to always ask “why”, and to avoid dead-ends by always trying to envision the bigger picture. Rather than playing our harps, we will engage in activities much more important than creating. Bill Gates, in reviewing for the New York Times a book envisioning futures, put the question this way: “…what will happen once people…no longer need to work in order to feed and clothe everyone?” In a letter to the editor (of that section) that was published last month by the Times, I replied, “If one assumes that human beings are fundamentally creative, then we will spend our time creating things of beauty or goodness and sharing them with one another. I prefer to assume that each person has the fundamental irrepressible desire to give love to the greatest effect imagined. People would spend their time helping others, working toward the present or the future of a community or the whole planet.” I thereby put into public circulation a fundamental tenet of Unificationism, and also suggested a vision alternative to yours. John, I don’t disagree with you, and I’m certain we will spend our time in SW creating beautiful things for one another. I just think that one of our more beautiful creative projects in SW as blessed couples, assuming we eventually grow capable of it, is that we’ll do like our Heavenly Parent(s) did and create a universe or two as a home for children created in our image. And far from being able to rest on our laurels (on the seventh day), we may have to once again hone our parenting skills doing damage control, just like our HP has had to do with us. Even if it’s a lot of work, I can’t imagine creating anything more magnificent than a self-perpetuating species of true love! Would you clarify what alternative vision you are suggesting? I don’t see that much difference between yours and mine, except perhaps regarding the extent of our creative potential in SW. Your point is a total non sequitur. Monumental events occurring before, during and after the Big Bang in no way indicate that parallel events are occurring. There is nothing from the former that you can extrapolate the latter. It’s essentially stating that if one grand thing occurs then it follows that multiple grand things occur. It’s less than a logical fallacy as there is actually no logic at all. It’s not thinking outside the box because doing so still implies a relationship to the box in externality. My point isn’t that I’m stating there are no parallel events as I have hypothesised about that myself. My point is that it is wrong to draw a link that says because one occurred then its evidence that another may have occurred. Again, my point is about the incorrect way people (including statisticians) use statistical probability. From a sample of 1, absolutely nothing can be predicted. I do not believe that time only started to exist after the Big Bang or that God exists outside of time. People often get things upside down or back to front. I have two theories on time. One is that rather than existing outside of time, God exists in a more complex, multi dimensional, full version of time yet simplified time and made it two dimensional and linear for us so we could handle existence without instantly going insane during our formative period. My other theory is that time does not and has never existed. That time is just a word that we use to describe ‘development’, just as human beings have many words for things that don’t exist but help us conceptualize. For example, there is no such thing as ‘up’ or ‘down’. There is only ‘away from’ and ‘towards’. So I think it possible that what we really refer to when we talk about time or the passage of time is ‘development’. People grow, matter decays, etc. When people zip around the universe in a theoretical spaceship then the faster they go/accelerate the slower time passes. But my theory says that in fact this just has an atomic/quantum effect on their bodies and all matter moving with them so that development slows down in a uniform way within their ecosystem. So when they return to earth they find their twin brother is much older than they are and conclude that time has run differently when in fact developmental speed has just been affected differently. I am prepared to write an essay to answer your question of what we do through eternity but it would be quite controversial. As for God having a beginning: Then whoever created God or is the ultimate being is who we are actually referring to when we say ‘God’ and the god you are referring to here is a foreman, an angel. That takes us back to the original question of if the original God had a beginning. I don’t think God initiated the Big Bang and programmed that everything afterwards would happen automatically, either in the universe or on earth. That’s carrying God’s supposed efficiency a little too far. Scientific evidence of the geological and biological history of the earth clearly indicates that things evolved and developed over extraordinarily long time periods. We can believe God was the heart and intelligence behind that development or say it happened by meer chance. I can envision God intimately involved in creating physical life on earth over those billions of years, the vision that was in His/Her mind of an ideal world — even enjoying tweaking the DNA of the creatures that were being created, including us — to form what would be most pleasing to Him. Just like an artist that experiments with different styles, pigments and brush strokes, etc., to portray life on canvas until it pleases him or her. This does not at all take away from a sense of God’s ability as a creator, but rather shows His/Her great and caring love as our Parent. Who can say just what ‘maximally great’ means when theologians and philosophers describe God this way? Ask yourself this: which can win in a computer vs. computer chess game. An Intel 486 processor from 1994 or an Intel Core i9 processor from today? All things being equal, the Core i9 would destroy the 486. However, if you give the 486 an infinite amount of time to calculate each move then the weaker processor can win any game against any processor or AI system anytime. Likewise, God’s true thinking and design prowess is not only based on the power of His mind but also on the fact that God has perfect recall (in computer terms that would be an infinite amount of RAM and disk space) and most importantly, God has an infinite amount of time to plan and test and model before executing. So there is no such thing as going too far when it comes to God’s efficiency. Again, there is no such thing as a long or short time. These things are only relative from our point of view to the life span of a human being. Or more specifically, to however much time we personally have lived. A year to a ten-year-old is 10% of their experience of time but a year to me at age 53 is only 1.88% of my experience of time. To God, 14 billion years maybe be an unextraordinary amount of time. When it comes to what pleases God in terms of creation, ask yourself this question: Why do you eat the food that you eat. People think they eat the food they do because they like it but that is incorrect. The reality is that they like the food because they eat it. What pleases God is that which has integrity of design and conforms to the ‘Tree of life’ design principle. The Tree of life is not just a historical person or persons. As the DP teaches, it is a being design. But it is actually much more than that. It is an ‘entity’ design. So an animal from a biological point of view is also a tree of life according to its design. So is every plant and so is a thriving business. A tree of life can be said to be ‘any entity that exists in maturity according to its design, can continually maintain its existence by interacting with its environment in a mutually beneficial way and can multiply it’s self and also generate enough life energy not only to continue its own existence but also foster the existence of its offspring until the offspring reaches its own point sustainability’. There are two kinds of trees of life. Temporary and eternal. Any perfect human is two trees of life. Their body is a temporary tree of life and their soul is an eternal tree of life. So God doesn’t have some arbitrary taste in what pleases Him. Something is considered ‘good’ when it conforms to the Tree of life principle and I strongly believe that when God designed the universe He did not enforce individual designs on any plant or creature or even homo sapiens. There was no need. As long as the entities were trees of life then they would be beautiful to God. Also, I believe God is not omniscient and does not want to be as that would be boring. Being so would rob God of the delight of being surprised sometimes. So God knows an awful lot and can predict an awful lot but especially as we have free will then He does not always know what will happen and in a non-fallen world this would be a delight. That was quite an depth explanation of how God operates, but I see that you have come around to my point of view somewhat. You say “…God has an infinite amount of time to plan and test and model before executing.” So we agree that God does, after all, plan, test and model in creating. But where you say He figures it all out in His head, then lets it all unfold automatically, I on the other hand, think She works it out as things are physically being developed, and makes adjustments along the way that pleases His scientific mind and sense of beauty. More like how we do things. I see God as more human and less as the perfect computer. This explanation is good because it helps us understand all the steps it took over the last 4.5 billion years for God to bring the world and humans to the Ideal in His mind and heart. 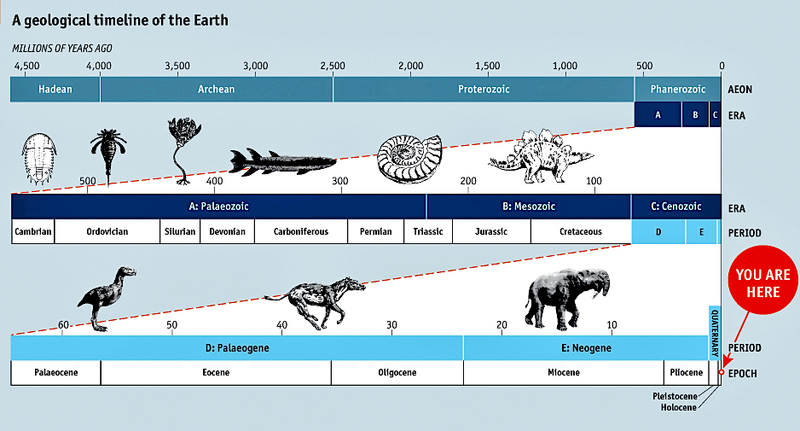 Such as dinosaurs and other creatures who have come and gone; the formation of continents; the five ice ages that in some cases virtually wiped out everything on earth; the patient and careful regulating of geology, climate, biology, and myriad other elements of earth science to eventually form the perfect environment for us. If She did all Her planning beforehand, why didn’t the earth unfold perfectly from the beginning, rather than going though all the trials and changes in its evolution before humankind could be placed upon the earth? The idea of God working it all out in His mind and then setting it in motion automatically — and just watching it unfold — seems to me rather inefficient and clumsy when applied to the actual history of the earth for a perfect God. These observations beg several questions: Was the entire earth meant to have a temperate climate without “hostile” conditions that would make growing crops or hunting and fishing difficult? Were we supposed to be vegetarians? Was it un-Godly behavior by our ancestors that caused climate extremes? These questions are not easily answered, IMO. Evolutionary science tells us that people from cold climates have an evolutionary-based, metabolic disposition to store fat with the onset of colder temperatures. Our mind sends a “trigger-warning” to our bodies as summer moves to autumn. (That’s why dieting as a New Year’s resolution is usually a futile undertaking). Richard Dawkins, in his book, The Selfish Gene (1976), argues that we are hard-wired (evolutionary speaking) in such a way as to always assure our survival by seeking power and success, thereby insuring survival of our own genes. Dawkins posits that it is our genes, “the lowest level of all,” and not our bodies, that “are the fundamental unit of selection…the unit of heredity.” Though he’s an atheist, he nonetheless views this as being an ineluctable and quasi-altruistic attribute. He also asserts that there exists an innate willingness in humans to sacrifice oneself for the sake of assuring that one’s lineage (and genes) will carry on through one’s descendants, and that the penchant for sacrifice (from the Latin sacra-ficio; to make holy) is an intrinsic part of human DNA. Interestingly, Dawkins admits that those who possess religious convictions are actually more willing to make sacrifices and concedes that this has been a significant matter in the development of certain cultures in which religious belief was a primary aspect of society. Has anyone sought counsel on these issues from Jonathan Wells? Responding to some of David’s questions, I am personally satisfied to believe (based on the teachings of Unificationism, especially including True Mother’s speech at Madison Square Garden) that all humans share a common ancestral pair who, by the very fact of their survival, would have come into existence in a opportune environment, and who were each endowed with the creation principle to guide them as they learned how to take responsibility. During their immaturity, they made fundamentally wrong ethical choice(s) then relating to one another unsatisfactorily, and that this impaired their ability to reap and use nature’s bounty. I like the idea set forth in Genesis 1 that they were vegans, having fallen, according to Unificationism, “below the level” of animals, and that only when Noah’s family and their animals had established a secure plantation did their diet expand to include flesh. You have done a lot of good research, but the central point of your speculative interpretation is “His last and most important job was to develop an anatomically correct body for humans, in preparation to insert eternal spirits in His children.” Everything else is interpreted through this lens. But I would argue that this point is highly problematic. It makes the rest of the speculation moot. In Divine Principle, spirit is sungsang and sungsang does not exist separately from hyungsang. So if we accept Divine Principle, God could not have “inserted” spirit into an already existing body. That is an interesting point you bring up. However, without claiming to know exactly how God created, I think my contention that God was behind the evolution of life on earth with the purpose of creating an ideal environment and an ideal body for His children is very plausible. I agree that all things, as you say, according to the DP have a sungsang and a hyungsang part. Nothing exists with only one or the other. (Even the angels I assume have something representing this dynamic). So plants, trees, rocks, animals, etc., all have this makeup. Certainly, in the evolution of humankind, i.e., homo habilis, homo erectus, neanderthal and homo sapiens all must have had a sungsang and a hyungsang part. However, could they communicate with God, angels and the spiritual world? Did they have a spirit that could live on eternally in the spiritual world? I would maintain that they did not. I would suggest that God invested in one “Adam” and one “Eve” from some early homo sapien families an eternal spirit that allowed them to be the first humans capable of communicating freely with God and the angels, and transitioning to the spiritual world after they died. The were the first Children of God. So sungsang and hyungsang both have structure and develop together (and yes, we do need to think more about how angels and the human spirits after death manifest this structure). That is human consciousness itself is emergent and consequently is also tied to evolutionary processes. This for me is the key conceptual change provided by Divine Principle that would underlie any speculation on evolution. We have to consider the development of both sungsang and hyungsang not just hyungsang. With respect to sungsang, I believe there is a threshold of complexity where not just consciousness, but consciousness of self or self-conscsiousness arises. Passing this threshold is the key. Most animals do no have this, but a few higher ones do. Some chimpanzees, dolphins, elephants, and perhaps birds are self-aware and may well have persistent individual spirits. Neanderthals did have symbolic burials too, so some at least were probably self-aware enough to consider an afterlife and have spiritual selves. “Adam and Eve” then would be the first to pass this threshold in our species. Right! Now this is really something to think about: our sungsang or our “internal character.” My two articles on a “layman’s cosmology” were just leading up to this very point for me. All humankind should have been communicating with God, the angelic kingdom and the spiritual world from our beginning. Presumably our first ancestors could and did, for a while. We join religions because they offer us a pathway to re-connect with God. We lost an essential part of our inner nature. It appears we regressed to a Cro-Magnon state of being. We will never bring peace on earth unless we find out how to regain that lost sungsang element — our five spiritual senses — and become fully human once again. The Fall narrative kind of sits on top of the evolution narrative. I am not sure quite how they go together, and yes, I agree that the consequences of the Fall had to do with our sungsang. So we tend to misunderstand the directive to unite our mind and body. I don’t think we lost any “elements” of sungsang per se but rather inherited what amounts to a software conflict, not a hardware problem, so some functionality was lost. Our spiritual senses are dulled, not missing. Yes, religions have in the past offered a partial path back to God. However, I believe True Parents have taken us beyond that need; that we are now in a time period never before seen, not even at the time of Adam and Eve. We are past what was lost, so now we need to think of growth “post-Fall” or “post-restoration.” I don’t think the Fall narrative is helpful right now except for historical purposes. The problem I see for Unificationism now is that we are like the prisoners in Plato’s “Allegory of the Cave” who don’t want to come into the light after their chains are removed. I didn’t come around to your point of view on this. It’s been my view all along. It isn’t the same as your view. Any engineer or architect in their matured field reaches the point where everything is mapped out; then a good engineer doesn’t need to make adjustment’s later on. So when I say testing I mean that God would do thought experiments to see what happens this way or that way then this informs the evolving design. But once He commits with the Big Bang then there are no more adjustments, and after all, the fine tuning would not allow for it. Even the most minor adjustment either way would make life impossible. I do believe however that God could nudge events at certain points along the way. But that’s still different from your view as I believe the nudging was built into the design. I don’t see a species being wiped out by a meteor or ice age as being a dead end. It is all part of the continued development as the creatures that survived then went to eventually produce human beings. I think God saw to it that the universe was so vast and diverse that it was just highly probable that a planet with life on it that had the right environmental conditions would emerge. Which means there are likely many other planets with life on them and possibly creatures as highly evolved as neanderthals. But going the step further for divine beings might be something that needed a nudge from God.